Cover me. I'm getting more beer. hello all, I decided to go as my warlock from destiny this year for a convention in town. I plan on making a kellbreaker's cloak, obsidian mind helmet, thralskin brace, and kellbreaker's path boots for armor, and the revelator pistol and the chosen sniper rifle. 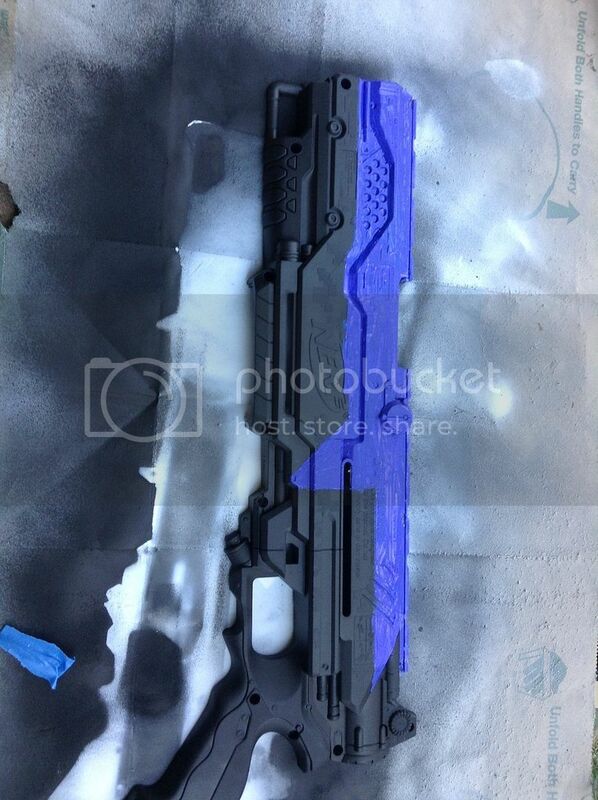 also, if I make a good pattern for armor or schematic for a gun, ill put it up for others to use. Can't wait to see the project! Takes the creative type to fashion themselves an awesome cosplay. okay, so I decided to start on the sniper first. 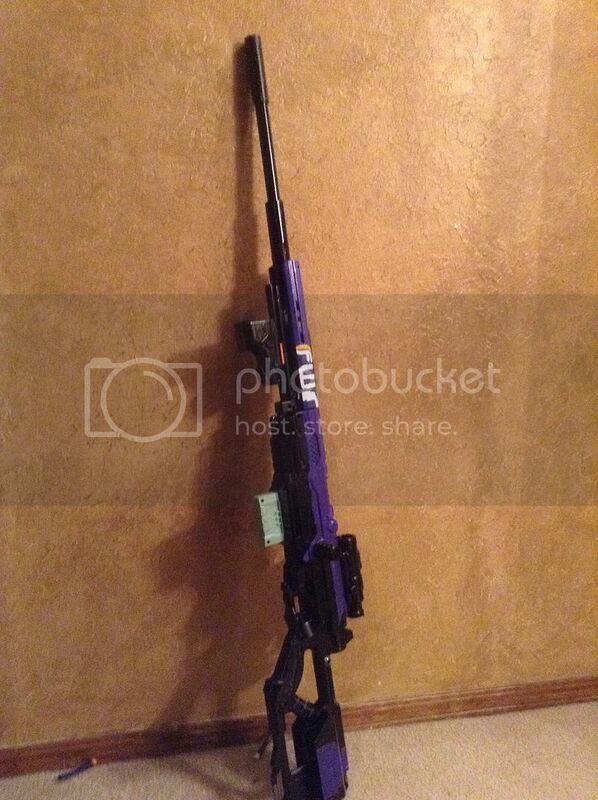 I found an old nerf longstrike lying around in my attic and decided to use it as a base. 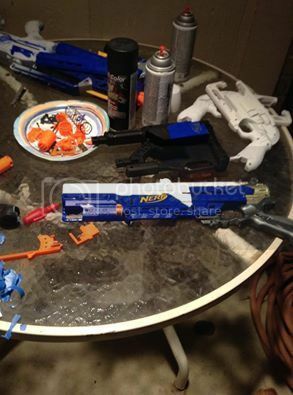 i had learned from previous projects concerning nerf guns that paint doesn't stick well to them unless you sand them a little first. i plan on turning all the white purple and all the other black. welp after some tedious hand painting, its starting to look pretty nice. 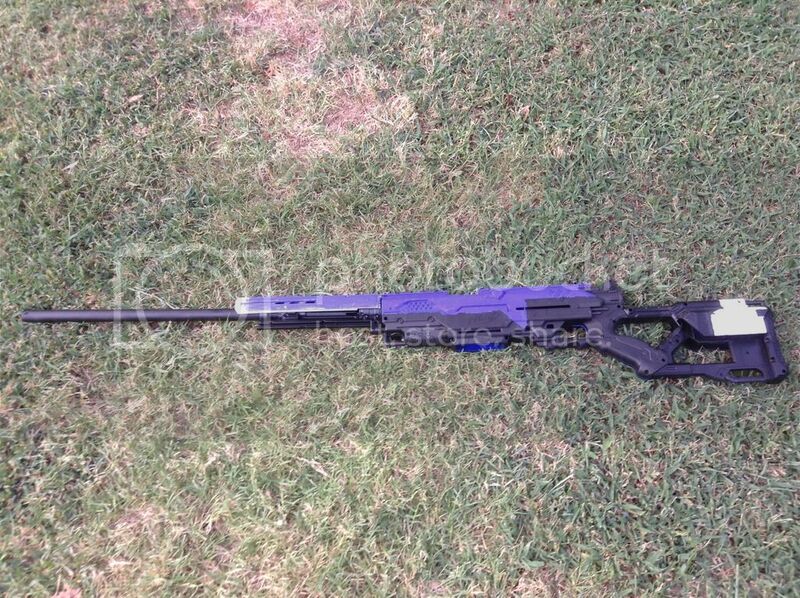 all purple on this gun is hand painted on. I enjoy learning how people create their props. Keep it up and we look forward to seeing more! You got talent , it's looking good as well. I like it. I wish I had a picture of the spartan laser I made for my son. I was really excited at the title of this, but then realized it was not the same reaper. at the time I didn't know there was another reaper. also this project has hit a snag since September with my funds dwindling. I had to buy a new car and get new insurance so I wont have updates for atleast another month or until I have balanced out my bank account. I'm curious, you said you needed to "figure out pepakura" for the Obsidian Mind. What do you need? I happen to have that one already printed out, and provided teh unfolding for the model on the 405th while I was still welcome there.. Heh...it's been sitting on my desk as a neat stack of cardstock for about a year now because I have that constant catch-22 between having ambition when I have no time, and having time when I have no ambition. lol. Hoping to get that together soon and put together some form of pattern/template to work from for a cloak. Not likely to be a "game accurate" coat but aiming somewhere around the style of either the Iron Regalia Vestments or the Deathsinger's Mantle. Really disappointed at having to leave those behind in Year 2. The new stuff just doesn't compare as far as aesthetics go. I have it printed out too, I just cant grasp my head around building it. im not good with 3-d objects out of paper. also I feel your pain when it comes to year 1 aesthetics, I LOVED my kellbreaker and deathsinger, I WAS A FREAKIN MERMAID WITH GLOWHO. ahem, back onto the topic, im making he kellbreaker because 1. it seemed like an easy one, 2. I liked it cuz it was different than the rest, 3. who doesn't want a majestic red trenchcoat?